Feeling a little blue? Need a little pick me up? We’ve made a list of the ultimate feel good films guaranteed to make you smile! Home Alone is an absolute classic! Kevin (Macaulay Culkin) is happily living his dream of being home alone until two witless con men plan to burgle his house. Let the slapstick comedy ensue! The clever booby traps and pure stupidity of the con men is sure to make you chuckle every time! Ever thought of doing a 2 week house swap with someone on a different continent after a break up? No neither have we! 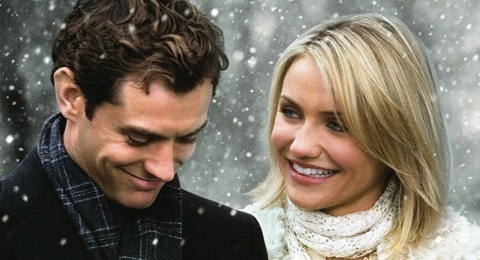 Iris (Kate Winslet) from Surrey in the UK and Amanda (Cameron Diaz) from LA decide to swap homes for Christmas in hope of escaping their troubled love lives. Each meet a local gent to fall in love with but what will happen when Christmas is over and it’s time to go home? All the Toy Story films are great with lots of jokes catering to kids and adults alike. Anything Pixar touches usually turns to gold but the third adventure with Woody & Buzz is a stand out; the film embodies friendship and teamwork and is sure to give you the feels! WARNING: does contain a few tearjerker moments. It’s hard not to root for the Jamaican bobsled team I mean they have never even seen snow and want to take on the best in the world at the Winter Olympics. With the help of former champion Irv Blitzer can these four underdogs make it to the Winter Olympics and show the world what they can do. If this film doesn’t put a smile on your face nothing will! Everyone has pulled a cheeky sickie from school but we bet you didn’t spend the day driving around the city in a Ferrari trying to avoid your family and the school’s dean of students! Have we missed your favourite feel good film? Let us know on Facebook or Twitter. We’ve listed some classic films – if you’ve got DVDs sat on your shelves that aren’t so good turn them into cash now at We Buy Books! For more information on how to make money from your unwanted DVDs go check out our Guru Guide.